Mark Calcavecchia won his only major championship in a playoff over Greg Norman and Wayne Grady. It was the first playoff at the Open in fourteen years and the first use off the four-hole aggregate playoff, adopted in 1985. The playoff was formerly 18 holes the following day (and 36 holes prior to 1964). Calcavecchia was the first American champion at The Open in six years. Norman shot a course record 64 (−8) in the final round to get into the playoff. 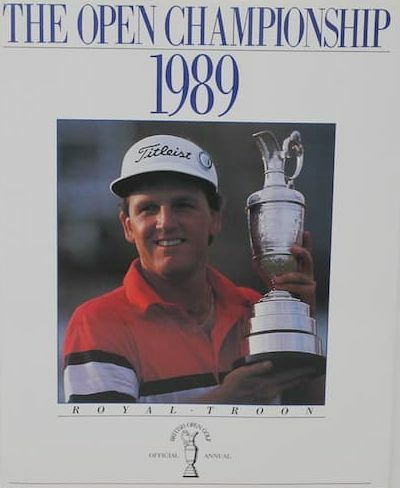 The 1989 was the fifth Open Championship held at Royal Troon and won in a playoff by first time major winner Mark Calcavecchia.